The Inn at The Presidio is different. Set outside San Francisco’s city bustle, it’s not only a pleasurable place to stay, it holds a significant piece of the region’s history. 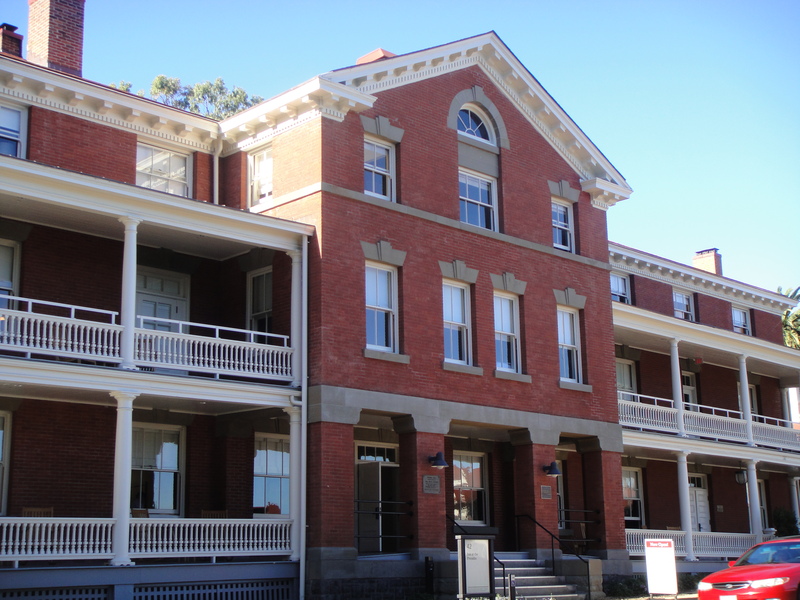 The stately red brick building used to be headquarters for U.S. Army officers fortunate enough to be stationed at this military outpost. Now the entire 1,491-acre Presidio is a National Historic Landmark District, part of the Golden Gate National Recreation Area. 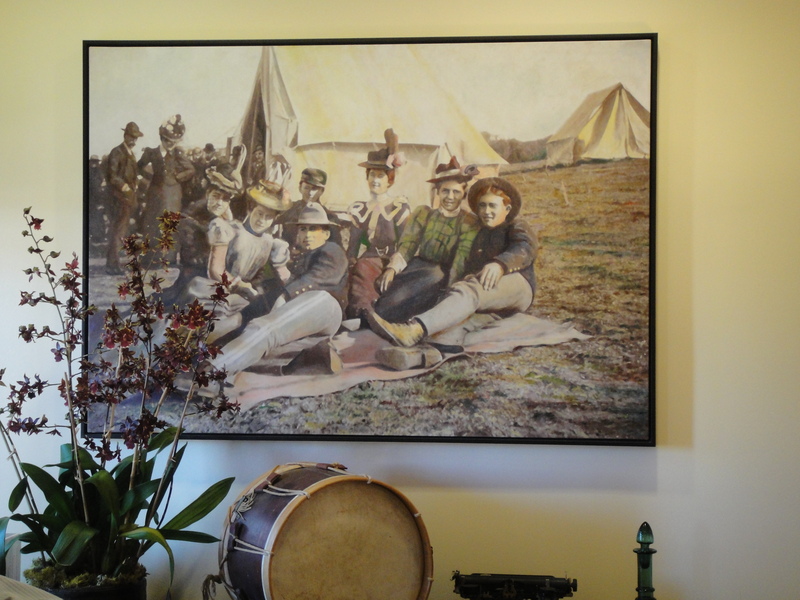 Pershing Hall, the single officers’ quarters, was remodeled and opened as a hotel in 2012. 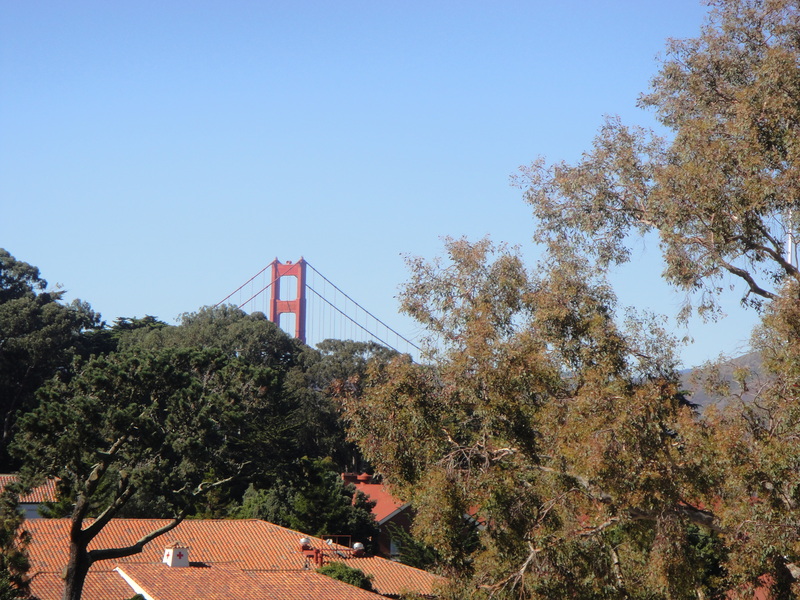 And here I am, admiring the view over the Presidio’s red-roofed buildings and green fields to the bay beyond and, of course, the always compelling Golden Gate Bridge. 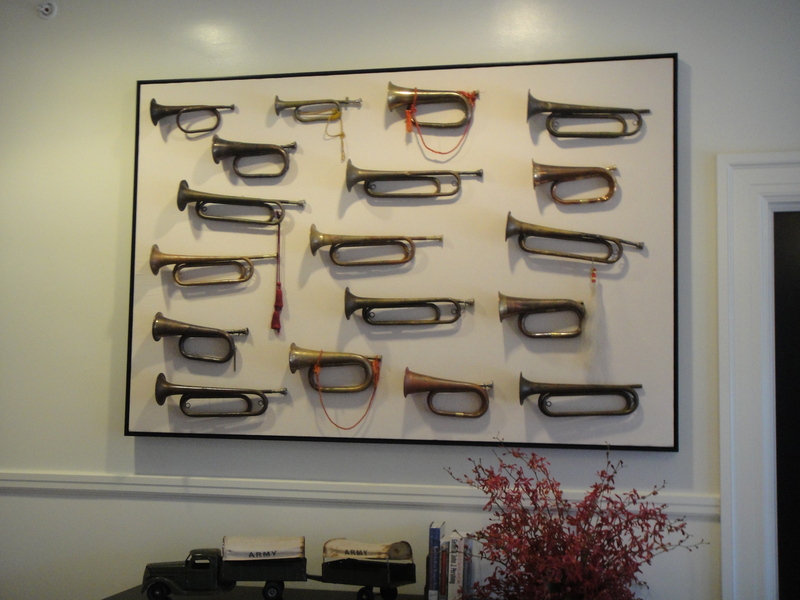 I’m in one of 22 rooms on three floors that have been painstakingly restored to preserve the old Georgian Revival style and military memorabilia while providing modern comforts—downy duvets on firm beds, sizable bathrooms, flat screen TVs, internet access, mini-bars. (The best views are from the third floor.) The service is top-notch. There’s no elevator, in keeping with the historic status, but guests who can’t climb stairs can book a room on the ground floor. Some SF visitors want to be closer to the action of downtown, but I don’t mind being this far away because it’s quiet–no sirens, traffic, or late-night party crowds. That doesn’t mean I’m alone. 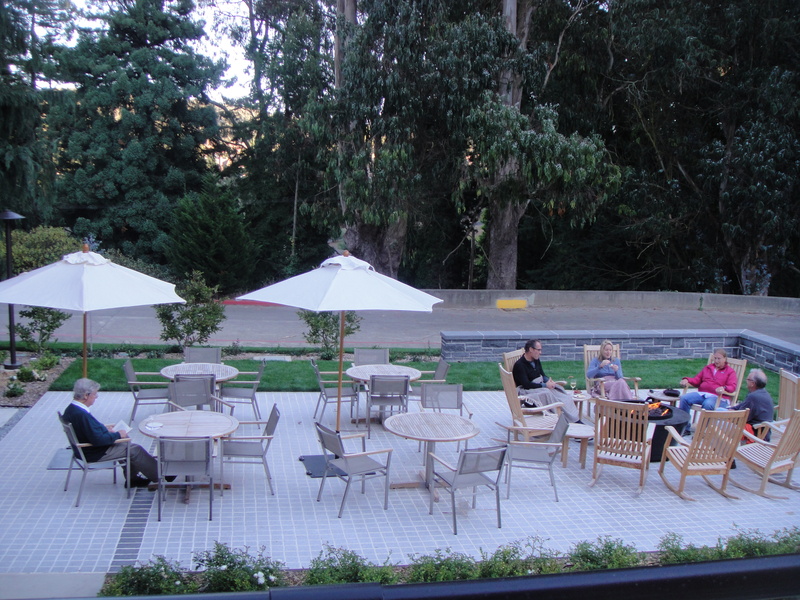 Five million people a year visit the Presidio, but I’m happy to share this huge park of rolling green hills, wooded trails, a beach, picnic areas, and a couple of restaurants (the Presidio Social Club is a good choice, though so popular it’s wise to book a table early). The Walt Disney Museum is here, along with a number of commercial sites in former military buildings. If I want to go to the heart of the city, Inn at the Presidio offers free shuttle service on weekdays, as well as a shuttle around the Presidio itself. The Visitor Center tells of the site’s long, richly dramatic history, It’s a pleasure just to wander among spicy-scented eucalyptus trees and over grassy slopes. At the hotel, a feature I particularly like is its commitment to the environment. LEED-certified, it uses organic-based paints, insulation from recycled cotton denim (who knew? ), USA-made wool rugs, water conservation, and no mini-soaps or shampoo bottles. Room and suite rates are $195 to $350 per night, which includes an excellent buffet breakfast, taken indoors or out, and afternoon wine and cheese. Parking is $6 a day. 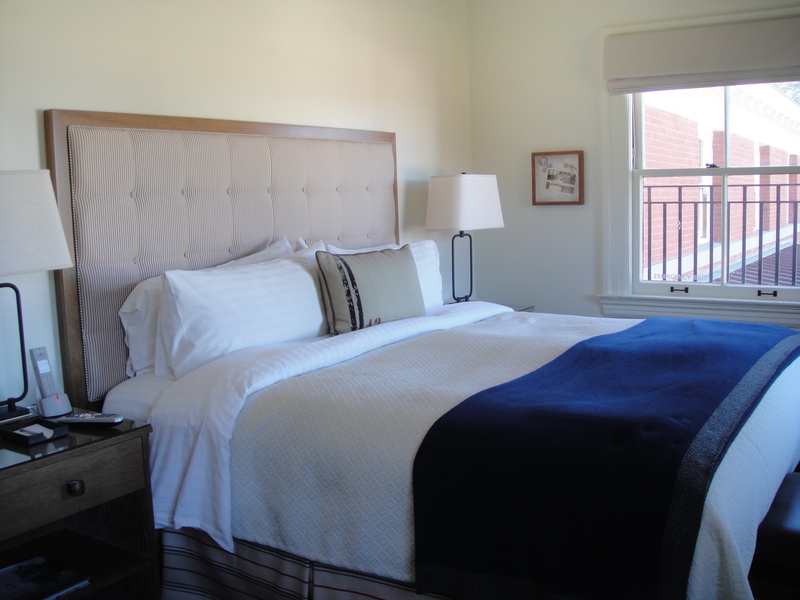 Inn at The Presidio is a fine addition to the San Francisco lodging scene.